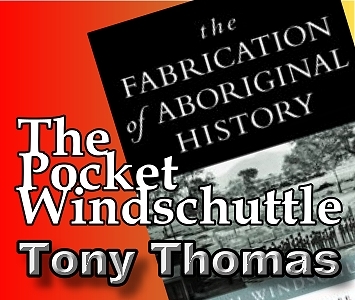 The Pocket Windschuttle: Queensland – Four children removed per year, for all reasons! 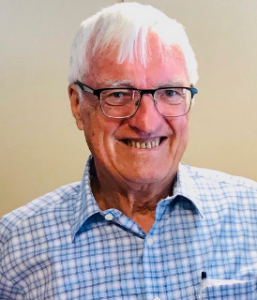 Tony Thomas: Queensland until the 1970s had the most oppressive and diabolical laws governing the lives of Aborigines and half-castes. Keith Windschuttle freely acknowledges this. That sunny state of Queensland used to be beautifully-racist one day, perfectly-racist the next. So of course we will find there in Queensland those scores of thousands of ‘stolen children’, who make up our national total but can’t be found in southern states or NT. This total was ‘up to’ 100,000 (Bringing Them Home), or more modestly ‘up to’ 50,000, as Prime Minister Rudd put it in his magnificently worded apology in Parliament House. Damnation! From 1908 to 1971, only 249 (not 2,490 or 24,900) Aboriginal children in Queensland were officially separated from their parents, and moved to reserves, missions, and state institutions. That is, about four children per year, for all reasons. Keith Windschuttle’s section on Queensland is very thin, a mere seven pages. Seven pages says it all. In 63 years to 1971, said the state government, Qld removed 8912 Aborigines of all categories to reserves, missions and institutions. The number included 2024 children, but all except 249 of the children went with their adult relatives or carers. The academic historians, embarrassed, went looking for a larger number. A 2005 Ph.D. thesis by Mark Copland got the solo children figure up to 660. But this was achieved only by adding another 40 years (1859 to 1908), and by defining ‘removals’ to include children placed in dormitories on the same missions where their parents were located. The dormitory system for children was common across missions and stations in northern Australia. Children ate and slept apart but could trot down the bush path or track and see their parents during the day, and vice versa. (One of the reasons behind the system was the children’s security from sexual prowlers and other ne-er do wells). But two missions, one in Qld and one in the Kimberley, did enforce fairly strict segregation. They were untypical. And we haven’t yet mentioned the reasons for these supposed racist ‘stealings’, if the ‘stolen generation’ story were true. The state’s own submission listed typical reasons as orphans, neglected, or potential students, but largely to accompany their parents. As compensation for their loss of freedom, Aborigines on reserves were to be given housing, rations, schools and medical aid, and agricultural jobs on the reserves. That was in theory, in practice the reserves were shambolic. The 1865 Act was replaced in 1911 by a child welfare Act that last more than 50 years, and was racially neutral, i.e. did not distinguish white from black. Its successor Act of 1965 was also racially neutral. Is this the smoking gun for the ‘stolen children’ story? Once again, no. The Human Rights Commission of course took the most radical interpretation, declaring that this Act gave the director ‘virtually total control of the lives of Indigenous children’. However, as the Trevorrow case (SA) showed, ‘guardianship’ when tested in court did not mean what it appeared (total power), even in respect of children already on reserves. Bringing Them Home lamented the powers directed at Aboriginals, while omitting to mention the inconvenient truth of how small a number of Qld children were actually separated – four per year from 1908 to 1971, for all reasons!